How to download instagram photos and videos in your android phone has been a issue for sometime now and instagram has not created a official application of feature in which users of the social network instagram can download its content on their local storage. Once there is a want or desire people tend to find solution and in this post I will share with you how to download pictures and videos easily from instagram without you even rooting your phone. How to Enable and Disable Safe Mode on Samsung Galaxy S6 easily.. Check it Out!! Like I said earlier I downloaded the application for a test run and it worked, so kindly follow my instructions as the are very simple and easy to follow. 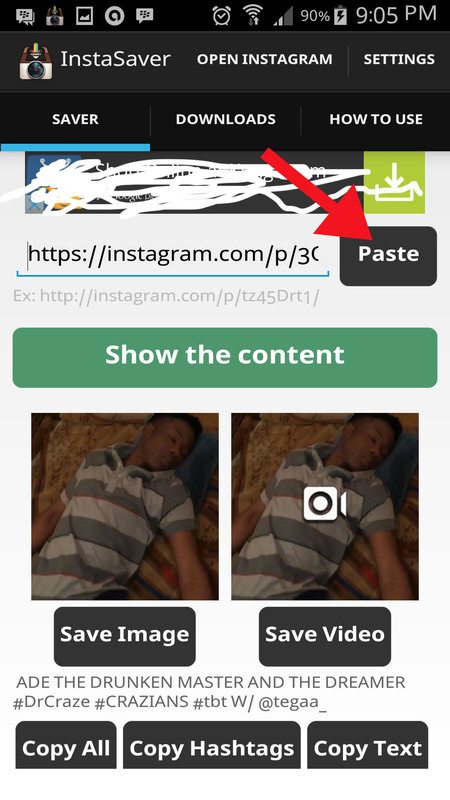 So first, download the InstaSaver App and then install it on your android device when you are done, follow the instructions below. 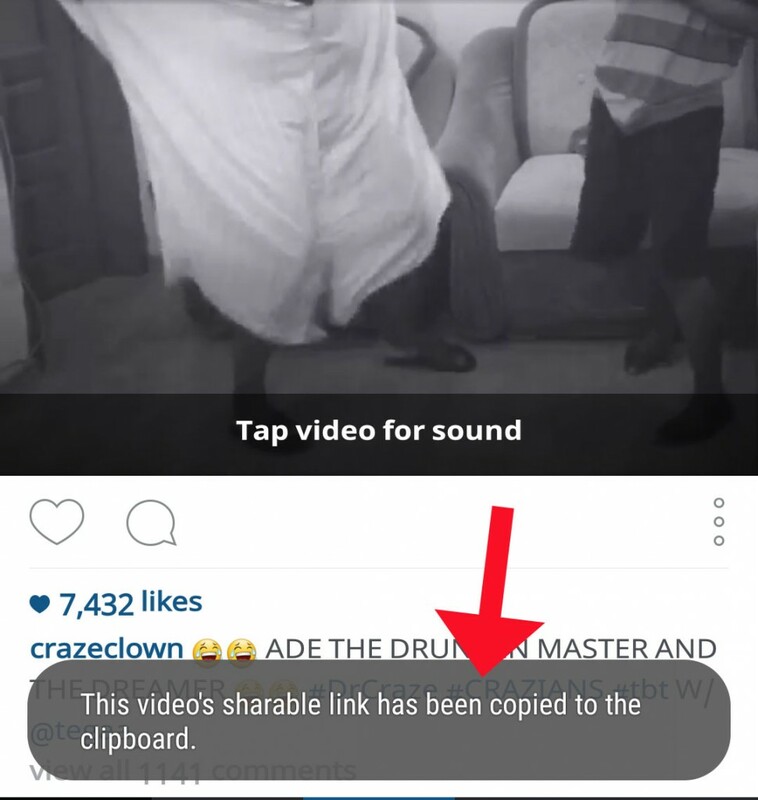 When you have seen a photo or video you like to download, just look below it and you will find 3 dots as indicated in the picture above, tap on it and a drop menu will show, tap on the copy share URL… and after taping on it a notification will show below telling you that the url has been copied just like the picture below..
Go to the instaSaver app you just installed and paste the url in the empty field available for the url, like the image below..
And right after pasting, you will notice that the application will load the url very fast depending on your network speed and load the image or video just like the image above. 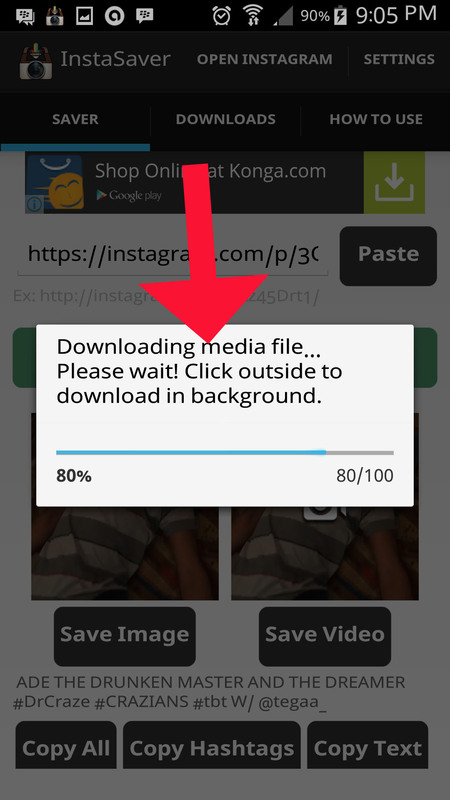 tap on the one you will love to download, if its a image download the image but if its a video you have two options either the image of the video or the video itself, so tap on the one you will download and the application will download it for you easily. How to save video without audio sir?